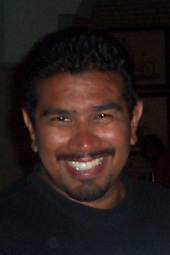 Louis Tirado is a hard working NY Mambo Instructor who began dancing Mambo in 1996. He has been a member of both the 'Addie-Tude Dance Company' and the 'Carlos Konig's Dancers'. He has traveled around the world as a performer and has graced the stages of Germany, Switzerland, Dominican Republic, New York and Los Angeles. Louis's teaching style is much like Louis himself: laid back, organized and simple to follow. He has that unique abolity of putting people at ease with his jolly, easygoing nature. It's all about kicking back and having a good time. To Louis, if you're not having fun, then it's not worth doing. As a teacher, he's known for his beginner classes because of the satisfaction he derives from helping beginners develop the necessary skills to social dance. It's this caring that has given him this 'Midas Touch' with many newcomers wo have walked into his class. 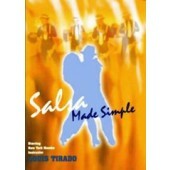 So if you're looking for a good Salsa/Mambo Instructional DVD with emphasis on developing a solid foundation of leading and following, then Louis Tirado's 'Salsa made Simple' is the DVD for you. Louis teaches on2 and his dance products are available on Zone Free DVD.